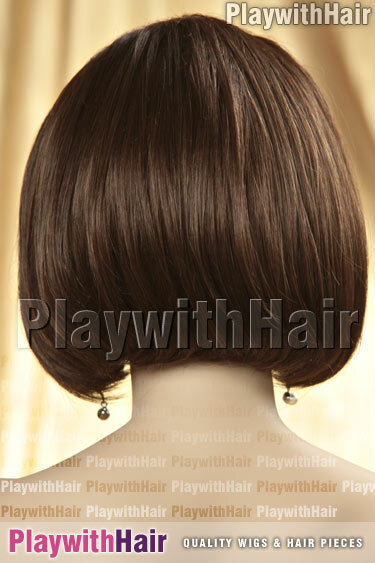 When it comes to headband wigs, you really cant get any better than this! Sleek smooth layers of thick healthy looking hair flow back from an attached soft 2.5 inch stretchy headband, meaning you can slip it on and be out the door in a matter of seconds!! Also available is an additional fringe/bang which slips inside the front of the cap and attaches securely. Weighing a mere 3.55 ounces (100 grams) this style is SO very versatile, easy and luxuriously comfortable! !